← I. Have. No. Words. And, as long as there is work to do, we should do it. And measure it. And always keep the eye on the ball. As in, keep track of progress, or lack of it, so that one day we’ll know when we ‘have arrived’. Which is an interesting thought. What will ‘we have arrived at a post racial world’ look like? I’m not sure, but I think I have one characteristic. We will identify our heroes and villains based on qualities not race racial in nature. We might like a football player because he is a great athlete [are we here already in this case? ], or an actor for her skills on stage. Perhaps a politician for his policies, or a movie character for his -her- ‘coolness’ as portrayed in a movie. This might look like, for example, a black kid from Nigeria, or say randomville Indiana, might wanna dress as Cinderella. Or, in a similar manner, a white kid might wanna dress as Moana. Not because they wanna go as a white girl from Western Europe or because they wanna go as a brown girl from the Pacific Islands. But because they wanna go as the heroic, or loveable, character they have fallen in love with in the screen or in their book. And the fact that those characters are white or fall on some spectrum of color is as incidental as the fact that they have shoes, boots, slippers or no footwear. That seems to me the world we’re striving for. A world where the color of a person is not important in the calculus to the determination of their worth. At this point, you might be saying something like: “But, I dressed up as Jasmine as a child, and I’m not a racist!”, or, “It’s just a Halloween costume, please chill the f*ck out.” But one of the best things about time is that it moves forward. You should too. You can (and should) strive to be better than you were 10, 20, or 30 years ago. If you missed the mark when you were younger, maybe think about using this Halloween as an opportunity to teach your kids about the importance of cultural sensitivity. If your child’s dream costume feels questionable, don’t just throw up your hands and hand over your credit card. You’re the parent here, and the onus of what your child wears falls on you. If your kid wears a racist costume … you’re kind of wearing it too. Recognize this: Moana is a really special character to young girls of Polynesian descent who have never seen a Disney Princess who looks like them, just like how Tiana from The Princess and the Frog likely resonated with young Black women who had waited decades to see themselves represented. White girls have plenty of princesses to choose from — there’s Belle, Ariel, Snow White, Sleeping Beauty … you get the idea. If your Caucasian son or daughter doesn’t get to be exactly what they wanted for Halloween, encourage them to take a step back and realize that they’re awash in privileges that the real Moanas and Tianas of the world will likely never see, because the world is full of racist assholes. It’s views like this that drive me crazy. Simply crazy. We WANT white girls to see brown/black girls as heroes. We WANT to stop using race as an identifier. We have GOT to stop mind reading racist in far too many aspects of life – there are enough real life versions. So, Cosmo, NYPost and Race Conscious.org – chill. White parents letting their white kids idolize people of color is a meaningful step in the right direction. Celebrate this development, not bash it. 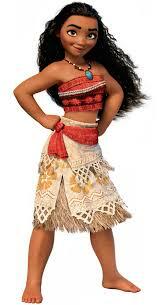 This entry was posted in Race and tagged Cosmo, Moana. Bookmark the permalink.